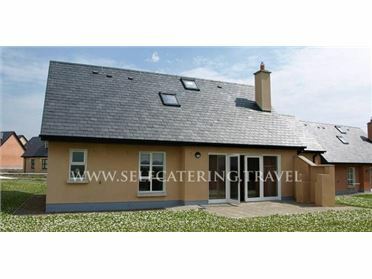 Robin's Roost is a wonderful, modern, ground floor apartment, set just outside of the village of Cornamona in County Galway and can sleep three people. This apartment has a family bedroom with a double and a single bed and an en-suite bathroom. There is also an open plan living area with a kitchen, dining area and a sitting area and an external utility. Outside, there is ample off road parking available and a lawned garden with furniture. Robin's Roost is a wonderful holiday base in Ireland. The village of Cornamona in County Galway can be found on the northern shore of the well-known Lough Corrib and is a popular place for salmon and trout anglers to visit. The village itself is in the centre of the Joyce Country Mountain and Lake Districts and is one of the most picturesque areas of Ireland. Towering cliffs stand next to vast stretches of golden sand, whilst vast mountain ranges cradle cool, low-lying lakes. The Galway region epitomises the term 'great outdoors'; with fantastic walking and cycling and exhilarating water sports..